Variety is reporting that Netflix and the BBC are joining forces for a new spin on Bram Stoker’s Dracula. 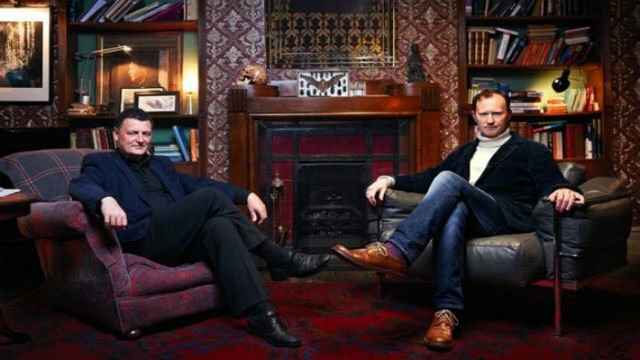 Steven Moffat and Mark Gatiss, the creative team behind BBC’s Sherlock, are spearheading the new show. Moffat was also the showrunner on Doctor Who until he recently stepped down from that position in 2017. News of Moffat and Gatiss’ plans to develop the series emerged as early as last summer. But according to Variety’s report, the show now has an official order with one season of three 90-minute installments. Unlike the pair’s modern interpretation of the Sherlock Holmes story, Dracula will be set in 1897, the same year that Stoker’s original novel was published. Dracula’s story has been adapted countless times since Stoker’s book set a new standard for Gothic horror well over a century ago. Needless to say, the results have generally been mixed. Tod Browning’s 1931 film featuring Bela Lugosi in the title role, and Francis Ford Coppola’s 1992 remake are among the handful of successes that are now considered classics of the genre. However, other attempts, such as the ill-fated Dracula 2000 with Gerard Butler, and Mel Brooks’ Dracula: Dead and Loving It, are better left on the ash heap of cinematic history. Most recently, the character was brought to undead life on an NBC series starring Jonathan Rhys Meyers that lasted a mere 10 episodes during the 2013-2014 TV season. Are you excited for a new take on the Dracula tale? Who would you cast in the title role? Tell us what you think in the comment section below!